CTI's cult item "Stonebone" available on Ebay! Anyway, a miracle. A very expensive one, with a starting bid of US$699,99! One of the rarest albums in the CTI history. The last LP of Creed Taylor's association with the A&M label. 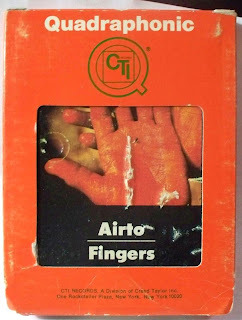 Never released outside Japan. Never reissued on CD not even in Asia. Also the last collaboration between the genius Pete Turner (my favorite photographer in the world) and Sam Antupit (the album designer during the A&M/CTI era). Excellent liner notes by the master Ira Gitler, the top jazz historian along with the late Leonard Feather. Two intriguing J.J.Johnson's tunes - "Musing" and "Mojo" - plus an extended funky version of Rudy Stevenson's "Dontcha Hear Me Callin' To Ya?" and a typical Joe Zawinul fusion theme, "Recollections" (Kai Winding quotes the Beatles' "Ob-La-Di, Ob-La-Da" during his inspired solo). 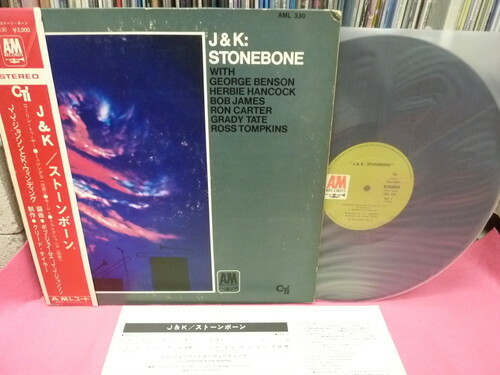 Bob James, who plays celeste on the track, arranged "Recollections"; all others were scored by J.J. Johnson. Featuring: George Benson, Herbie Hancock, Bob James, Ron Carter, Grady Tate and Ross Tompkins. Engineered by Rudy Van Gelder. 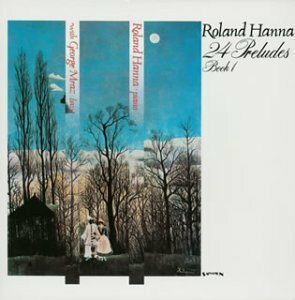 An out-of-print CD reissue of Roland Hanna's "24 Preludes" is on sale too! 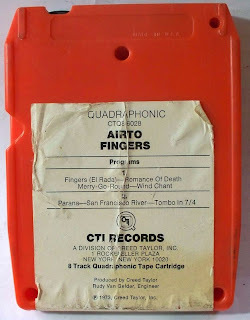 Another rare item of the CTI catalog, never released in the U.S. neither in Europe on any format, can be found on Ebay too. A 2003 out-of-print CD reissue Roland Hanna's "24 Preludes," recorded in Tokyo for CTI's subsidiary label Salvation, is available for US$262.55 ("buy it now" option). Still speaking of Creed Taylor's CTI: Antonio Carlos Jobim's "Stone Flower" (recently reissued on CD in the U.S. by Sony Masterworks) will come out on vinyl format tomorrow, August 30. CD of the Week - "New Tricks: Alternate Side"
The four members of New Tricks first discovered their uncanny musical affinity more than six years ago, and have been delving into creative possibilities ever since. Their sophomore CD "Alternate Side," released on their own label New Tricks Records, is clearly a group effort in which the band mates interact with and complement each other as if they share one mind. "This CD was recorded the way we had dreamed of recording," says tenor saxophonist and co-leader Mike Lee, the "old dog" of the group at age 47. "We played all of the material for three weeks on tour before our first recording session and then for another two weeks before our second session. By the time we recorded our tunes -- which are sometimes difficult and always quirky -- they felt as comfortable as playing a blues and we could concentrate on making music." Lee and trumpeter/co-leader Ted Chubb are both from the Cleveland area, while bassist Kellen Harrison, and drummer Shawn Baltazor originally hail from Northern California. They met and clicked while members of the celebrated Cecil's Big Band, at the West Orange, New Jersey jazz club. All four musicians are firmly rooted in post-bop jazz traditions, yet they bring new twists to acoustic straight-ahead jazz conventions with their use of challenging rhythmic and harmonic devices. "We're not playing without a chordal instrument in order to have more freedom," says Lee, who along with Chubb composed all the material on the new disc. "We feel that the absence of piano means we have more responsibility to play the harmony, not less. We want people to be able to hear the tune. Ted and I comp for each other. We try to catch part of the harmony while the other one's playing so that we reinforce the song." Mike Lee left his native Cleveland for Brooklyn in 1984 and met trumpeter Dave Douglas at a Lower East Side jam session. The two young musicians became roommates and band mates for two years. "Living and playing music with Dave was a pivotal experience for me that directly influences how I interact and create as a member of New Tricks," Lee says. Also while in New York, Lee studied with fellow Clevelander Joe Lovano, and later toured with his teacher as part of Lovano's 11-piece Celebrating Sinatra band. Lee has recorded three albums of his own: "The Quiet Answer" (1990), "Above the Battleground" (1998) and "My Backyard" (2002). Since 1997, he has toured the country frequently as a guest artist with local rhythm sections, often giving workshops at universities along his routes. He currently oversees classes for Jazz House Kids, an acclaimed program run by vocalist Melissa Walker that trains young musicians. Ted Chubb, 30, studied trumpet at Ohio State University with Pharez Whitted and Derrick Gardner, then continued his studies at Rutgers with the legendary trumpeter William Fielder, whose previous students included Wynton Marsalis, Terence Blanchard, and Terell Stafford. Chubb toured more than 40 cities with the award-winning Broadway show Jersey Boys between 2006 and 2011, having recently left to concentrate on the "hyper-creative music laboratory that is New Tricks." "New Tricks has all of the cohesion and assuredness of a working band -- something not experienced as often as it once was in jazz," says bassist Christian McBride, a friend and admirer. 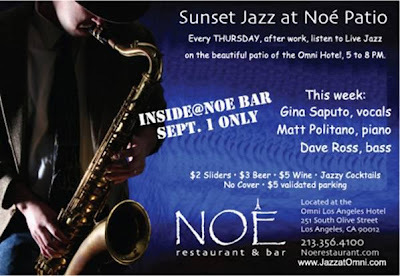 Saxophonist George Garzone likes the group's "real New York sound -- very seasoned and swinging." And in the view of guitarist Dave Stryker, "New Tricks is keeping the music alive with a fresh approach." The vibrant, uncompromising music on New Tricks' "Alternate Side" is very much about using tradition as a springboard into the future of jazz. "Working with Ted and making this project go has been so fulfilling and enlightening for me," Lee says. "I've wanted a push like this in my career ever since the beginning, and I've just never had the kind of support and camaraderie that I now have with Ted, Kellen, and Shawn." The band took the road immediately upon the release of "Alternate Side" for a series of concerts, clinics, and classes to be held at clubs, colleges, and high schools such as Triton College, River Grove, IL; University of Michigan School of Music, Ann Arbor; West High School, Iowa City, IA; Lyons High School Performing Arts Center, Western Springs, IL; Union Cabaret, Kalamazoo, MI; The Bistro at Grand Center, St. Louis; St. Charles East (IL) High School; Barrows Auditorium, Wheaton (IL) College; Blue Wisp, Cincinnati; Nighttown, Cleveland; Tatuma Social Club, NYC; Shrine, NYC; Miles' Cafe, NYC; Brooklyn (NY) Lyceum; Smalls, New York City; and Musikfest Banana Stage, Bethlehem, PA.
Vinyl of the Day - "Audio Master Plus Series Sampler Vol. 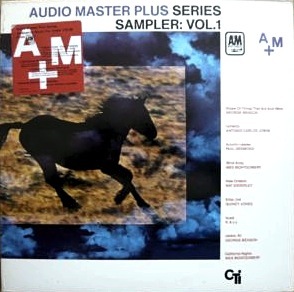 2"
This release is a sampler from the A&M/CTI audiophile release series "Audio Master Plus Series" and, according to the cover: "... remastered at half speed, pressed using audiophile quality Dye Compound vinyl..."
Tomorrow nite, August 27, join us for Saturdays with The 400 with music by DJs Affect, LS One & Mummy @ Cameo Nightclub in Miami Beach. 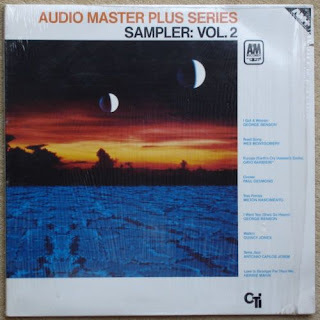 Vinyl of the Day - "Audio Master Plus Series Sampler Vol. 1"
Tonight, we start our weekend early with the talented DJ Tatiana Fontes at The Colony. Prepare Los Angeles! Tati will make you dance like never before! 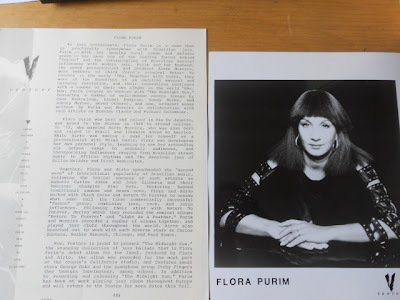 Flora Purim memorabilia - "Midnight Sun"
Press kit distributed to jazz reviewers at the time of the release of Flora Purim's "Midnight Sun" album, issued in 1988 by the UK-based label Venture, a division of Virgin Records. 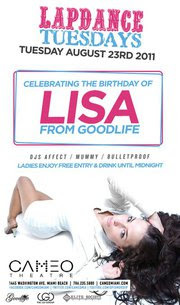 Tomorrow, August 23, join us as Lapdance Tuesdays celebrates the Birthday of Lisa from 'GoodLife' at Cameo Nightclub in Miami Beach with sounds by DJs Affect, Bulletproof and Mummy. Happy B-Day, Lisa! CD of the Week - "John Goldman's Quadrangle: Outside The Box"
Jazz composer-musician John Goldman’s Quadrangle is pleased to announce the release of their new CD "Outside the Box." And we are pleased to listen to it. One of the most adventurous and intriguing jazz albums we've heard this year. All the musicians are excellent, but guitarist Scott Hesse stands out due to his marvelous solos and original phrasing, specially on the opening track, "Color Therapy," "Dr. Jeckyl & Mr. Hill" (without vocals, being also a vehicle for Goldman's creativity) and the frenetic "Hesse Steps," with its changing tempos and on which Hesse steals the show during his improvisation. But Goldman strikes back, shining when soloing in an avant-garde atmpsphere. Leslie Buekleman does a delightful job throughout the album, contributing sensitive wordless (and "false fragiles") vocals to most of the tracks - she only sings lyrics on "Higher Faith," followed by the instrumental afro-cuban hard-bop "Harrison." Trombonist Kendal Moore is featured on "Moore is More," as well as on the latin-tinged "Soy Gonzo," with Goldman (on flute) and Beukelman (voice) doubling the melody (that could be easily credited to the late Brazilian maestro Moacir Santos) and even a stunning flute-vocal unison passage before Moore's solo, more reminiscent of Frank Rosolino than ever. All propelled by the solid & subtle combination of Patrick Mulcahy (bass) & Cory Healey (drums), plus Juan Pastor's congas. A rare case of an album complex & pleasant at the same time; never pretentious when complex, never selling out when pleasant. They enjoy good music. So do I. "Outside The Box" features challenging compositions by John Goldman, except an inspired rendition of Thelonious Monk's "Monk's Mood". The CD may be purchased online through iTunes or CD Baby. The latest release from saxophonist/flutist John Goldman with the newest edition of his band Quadrangle, documents the continued development of one of the most creative artists on the scene today. The music of the Portland, Oregon native and longtime citizen of Chicago (where he migrated to at the behest of mentor Eddie Harris) reflects an eclectic amalgamation of sounds imbued with both the natural splendor of his native Northwest and the urban grit of his adopted windy city. 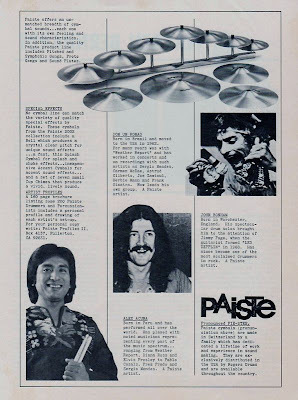 Goldman himself describes Outside The Box as “something different” for him, an indication of a somewhat new direction in which Quadrangle has been headed with the induction of guitarist Scott Hesse into the band and the resultant change in the group’s sound from when the rhythm section was centered around various pianists. The music on "Outside The Box" has earned high praise from Chicago’s esteemed Jazz Music Examiner Neil Tesser, who called the date “impressively varied and neatly balanced,” noting “a welcome gentleness – a spiritual optimism (in) Goldman's summery, uncluttered compositions” and lauding Quadrangle for constructing “a deceptively easy and delightfully relaxed set, full of strong writing and perfectly attuned playing,” singling out Goldman for his avoidance of “the fancy and flashy, preferring to use his clean, dark tone and evenly spaced phrasing to craft simple and correspondingly strong statements.” Going on, Tesser commended bassist Patrick Mulcahy and drummer Cory Healey, “whose finely textured rhythms power the band with admirable reserve” and extolled guitarist Scott Hesse for his “rock-solid comp chords;” and “fluid and glittering” solos. Along with Hesse, the “new sound” of Quadrangle can be attributed to Goldman’s new frontline partners, trombonist Kendall Moore and vocalist Leslie Beukelman, whose contrasting sonances serve the leader’s expansive compositions so admirably. Heard to great effect on the opening “Color Therapy,” the singer, who Tesser notes, “as a “band voice” – wordlessly doubling a melody and adding depth to the horn lines … Beukelman brings a light, lithe lilt to the music, enhancing the spaciousness of Goldman’s writing.” The buoyant Brazilian tinged tune, reminiscent of Chick Corea’s Return To Forever with Flora Purim and Joe Farrell is a shining example of the dichotomy of Goldman’s composition style, simultaneously evincing a lightness and melancholy, as well as his playing, which moves from an airiness on the melody to a darker, more muscular tone on his solo. “Moore Is More,” Goldman’s dedication to Kendall Moore, features the trombonist’s mellifluous “voice” in a most conducive environment. Opening with a slightly dissonant repetitive line, blending alto and trombone into a single soulful sound, the piece moves into an eastern tinged melody recalling early McCoy Tyner and Woody Shaw, where the brass man’s style, more focused on tone and lyricism than velocity and pyrotechnical command, shines along with Goldman’s alto, hearkening to the hip sound of Jackie McLean and Grachan Moncur III’s hip Blue Note days. Goldman composed “Dr. Jeckyl and Mr. Hill” in honor of his former frontline partner, up and coming trumpeter Marquis Hill. The soulful modal line combines the relaxed funky feel of hard bop bands in the tradition of Art Blakey and the Jazz Messengers and the Jazz Crusaders with the rhythmic looseness of Coltrane’s quartet with Elvin Jones. Hesse’s relaxed comping contributes greatly to the relaxed mood of the song, allowing both Goldman and Moore to build their emotionally satisfying solos with thoughtful deliberation, while his solo shows him to be a solid improvisor with his own voice. “Hesse Steps” was written by Goldman as a vehicle for guitarist Scott Hesse’s innovative harmonic concept of an augmented scale. The date’s freest piece, it has a sense of searing urgency (stoked by Mulcahy’s rhythmic bass and Healey’s driving drums) that is felt in both the leader’s and Hesse’s daring improvisations, without sacrificing the typically satisfying appeal of Goldman’s melodic lines, enhanced here by Beukelman’s sweetly ethereal soprano voice. Goldman’s “Higher Faith,” the composer’s most recorded piece, is a modern gospel hymn, featuring Beukelman singing Goldman’s optimistic words that spell out a spirituality that informs all of his music. 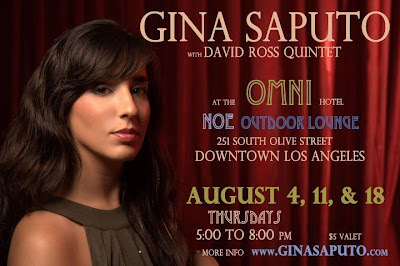 Soulful, with an earthy folkiness, it’s appeal reaches out beyond typical jazz and should find an audience with fans of Norah Jones and similarly mainstream artists. Goldman wrote “Harrison” for a performance with AACM bassist Harrison Bankhead at Chicago’s storied Velvet Lounge. 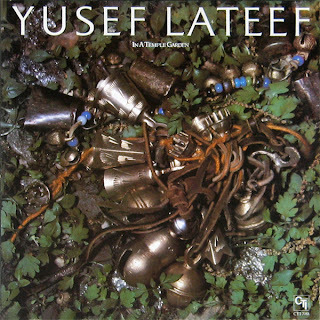 It opens with an African influenced feel (appropriate to the venue where it was first performed) enhanced by guest percussionist Juan Pastor and then moves back and forth into a straight ahead swinging jazz rhythm before taking off into a loosely structured mid-section that features “far out” playing by both Goldman and Moore, as well as, in the words of Tesser, “some mind-bending electronics from guitarist Hesse”. 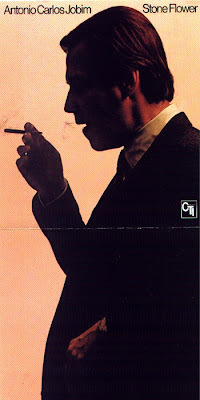 “Monk’s Mood,” (originally titled by it’s iconoclastic composer “That’s The Way I Feel Now”) is given an appropriately spacious treatment by the alto-guitar-voice trio of Goldman, Hesse and Beukelman, the latter who proves quite effective singing both melody and harmony on the album’s most melancholy outing. The disc concludes on an optimistic note with Goldman’s “Soy Gonzo.” A lighthearted Latin Jazz dance, its ironic title refers to the composer’s unsuitable sobriquet, the nickname with which he was dubbed as a youth that is completely contrary to his peaceful demeanor. Originally written year’s ago for a Chicago Jazz Festival performance with percussionist Reuben Alvarez’s band (opening for Miles Davis), all hands are on deck here for its debut recording with all of the soloists –Hesse, Moore, Beukelman and Goldman (impressive on flute here) - taking a turn on the happy finale to a most pleasing date. Signally satisfying in its unifying of various sounds and moods "Outside The Box" represents a major step in the career of John Goldman – an important new step in his quest to develop a singular sound - one that is both personal and universal, groundbreaking yet appealing, both contemporary and timeless. It’s all there at once, the reflection of a creative spirit that refuses to be confined and continues to explore and grow in different directions. Goldman began his professional career in his home town Portland, Oregon with some of the area's best musicians such as Tom Grant, David Friesen, and Jeff Lorber. Since moving to Chicago in 1988, John has added to his already eclectic influence from the West Coast. He has performed extensively with Brazilian musicians Paulinho Garcia, Chicago Samba, and Luciano Antonio, as well as Latin Jazz artists Ruben Alvarez, Silvia Sossa, and Tito Carrillo. He has performed with the Chicago Jazz Ensemble, and the Chicago Jazz Orchestra. Over the past decade, Goldman has played many of Chicago's music venues, including the Chicago Jazz Festival, the Jazz Showcase, Orchestra Hall, Ravinia Festival, and Arie Crown Theater. He has played many music clubs around the city, such as the Green Mill, The Velvet Lounge, Joe's Bebop Cafe, Pete Miller's, Smoke Daddy, and many others. John's new group Quadrangle can be every Sunday night at Studio 914 in Chicago, as well as other jazz venues around Chicago. John is respected for his talent as a composer. His debut CD release "For All the People" (2001) is an all original project and featuring some of Chicago's finest musicians such as Bobby Broom and Ron Perrillo. His CD "In Walked Pierre" (BluJazz 2005), was voted one of the top 20 jazz albums of 2005 by Chicago Public Radio WBEZ and is now available in stores nation wide. John's CD "Higher Faith" (jgmusic 2007) is a duet with John on sax and Pierre Walker on piano and vocals. His newest release, "Outside the Box" features more of Goldman's original compositions with members of his current working band Quadrangle. This project has received critical acclaim nationally and was named one of Chicago's top jazz CDs of 2010 by Chicago music critic Neil Tesser. Hesse grew up in Sioux City, Iowa. At 16 he began performing in his father’s 12-piece big band throughout the Midwest. Scott attended Eastern Illinois University where he studied for three years with New Orleans piano legend Henry Butler. In 1994, Scott moved to New York City to attend Manhattan School of Music where he continued his music education with renowned guitarist/recording artist, Rodney Jones. Scott holds a BA in cultural studies from Empire State College in New York and a Master’s Degree in Jazz Composition from DePaul University in Chicago. In 2007 Scott began teaching at Eastern Illinois University where he heads the guitar program. He also teaches at Harold Washington College in Chicago and is a frequent guest clinician at Lane Tech High School in Chicago. 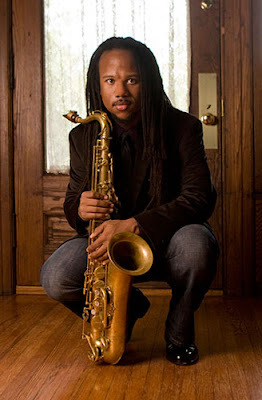 Scott moved to Chicago in late 2004 and is now active in the city’s vibrant jazz scene. As a member of drummer Isaiah Spencer’s Quintet, Scott plays regularly at Fred Anderson’s legendary club, The Velvet Lounge. He has also played at Chicago’s top jazz spots including The Jazz Showcase, The Green Mill, Andy’s, Hothouse, Katerina’s, The Cultural Center, and The Chicago Jazz Festival. Other collaborations in Chicago have included performances with Fred Anderson, Ari Brown, Greg Ward, Vincent Davis, Edward Wilkerson, Malachi Thompson, Harrison Bankhead, Tatsu Aoki, and is a member of John Goldman’s QUADRANGLE. Originally from Sandwich, IL, Leslie Beukelman (vocals on "Outside The Box") started her musical endeavors at a young age, singing, playing piano, and playing trumpet. Currently located in the city of Chicago, Leslie is captivating listeners with her unique style and versatility. Involved in groups from free jazz (Carplet) to modern jazz (Greg Ward Sextet, Ian Torres Big Band), to standard jazz (Leslie Beukelman Trio, Chicago Skyliners Big Band) to a cappella (Stripped), to progressive rock (Information Superhighway), Leslie explores her fresh sound on her debut solo album, “Here I Am.” This album showcases Leslie’s voice on her lively dynamic arrangements of old and new standards, as well as her compositions. She is regular guest artist with John Goldman’s QUADRANGLE. Mulcahy was born in Melbourn, Australia and plays many different styles of jazz. Playing in Chicago for 8 years, he has appeared almost every major venue in town including, Symphony Center, the Jazz Showcase, Green Mill, Taste of Chicago. Patrick toured Poland in 2009, and is a member of John Goldman’s QUADRANGLE. Healey is one of the Midwest’s most in demand young drummers. His unique talent and broad knowledge of many musical styles has allowed him to perform, record, and tour with numerous world-class musicians. Jazz icons Dr Lonnie Smith, John Abercrombie, David Amram, and Bob Florence have called upon his masterful drumming. As a member of Fareed Haque’s Flat Earth Ensemble, Healey preformed along side Hindustani heavyweights Kala Ramnath, Steve Gorn, Subrata Bhattacharya, Ganesh Kumar, Jim Feist, and Salar Nader. Healey’s tasteful playing has lead to gigs with Chicago-based Indie-Rockers WW Lowman, Ike Riley, Van Ghost, Lindsay Anderson, and Bosco &Jorge. The Jennifer Hartswick Band and Anthony Smith’s Trunk Fulla Funk have utilized his solid backbeat to keep their crowds dancing. ALGERNON, his main musical project, signed on as recording artists with Cuneiform Records in 2009. He is a member of John Goldman’s QUADRANGLE. Pastor, a regular guest artist with John Goldman’s QUADRANGLE, is an upcoming Jazz percussionist out of Northern Illinois University, DeKalb Illinois. Rising star saxophonist-flutist-composer Rahsaan Barber offers his vibrant second album as a leader, "Everyday Magic." 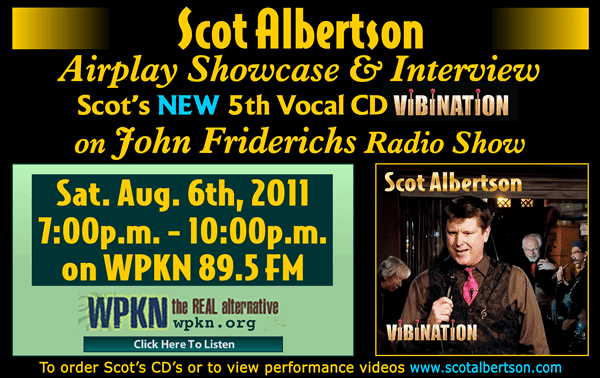 The CD is due for August 30 release on the Nashville-based artist's newly formed Jazz Music City Records. The CD release show for "Everyday Magic" will take place on Sunday, September 11, 5pm, @ the Nashville Jazz Workshop (1319 Adams Street in Nashville.) Barber is also planning a separate label launch show for Jazz Music City Records, Tues. October 4, 8pm, @ the Franklin Theatre, 419 Main Street in Franklin, TN. Billed as "Celebrating Our Own," the concert will feature El Movimiento, Bruce Dudley, the Roland Barber Quartet, the Jody Narone Trio, the Birdsong Trio, Stephanie Adlington, the Megaphones, Marcus Finnie, Rahsaan Barber and the Everyday Magic band, and more. Advertisement published by Paiste cymbals in several music magazines in the USA (DownBeat among them) in 1979, featuring Brazilian percussion-drums genius Dom Um Romão among the artists they endorsed at that time - along with Weather Report's Alex Acuña and Led Zeppelin's John Boham. 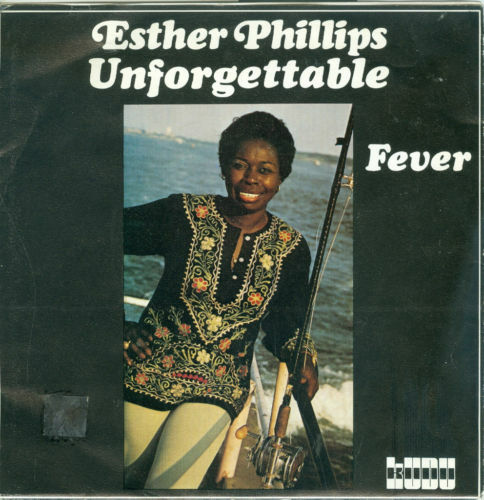 Single of the Week - "Esther Phillips: Unforgettable / Fever"
Produced by Creed Taylor, arranged by Joe Beck & engineered by Rudy Van Gelder. Two tracks from the album "For All We Know," Esther's second collaboration with Joe Beck, recorded in October, November & December 1975, and released in March 1976 as the follow-up to the hit album "What A Diff'Rence A Day Makes," which had topped the disco charts in Europe. 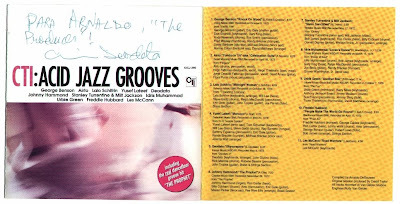 Featuring musicians on these 2 tracks: Joe Beck, Don Grolnick, Will Lee, Andy Newmark, Chris Parker, Nicky Marrero and Patti Austin, who prepared the vocal arrangements for both songs. CD of the Week - "Alex Pinto: Inner State"
San Francisco-based jazz guitarist Alex Pinto has a sound and concept unlike any other player on the scene. On his debut CD, "Inner State," which features his working quartet, Pinto makes a powerful first impression with his fluid phrasing, bright tone, and a program of seven original compositions marked by engaging melodies and unorthodox harmonic forms. "What I like about Alex is that he is a true artist," says drummer Jaz Sawyer, whose Pursuance label released "Inner State" last March. "He puts so much time, effort, and concentration into the music. He plans for longevity in the arts. I share that focus." Sawyer plays on the CD, as do tenor saxophonist Jon Armstrong and bassist Dave Tranchina, colleagues of Alex's from their days at CalArts (where he earned his MFA). "Wes Montgomery and Jimi Hendrix were my initial guitar heroes," Pinto says. "I got enamored with John Coltrane, and I still listen to recordings that span his career. And Hindustani music has been huge for me, masters like Ali Akbar Khan and Nikhil Banerjee, who makes me feel the same as Hendrix and Coltrane." After completing undergraduate studies at McGill University in Montreal, and frequent visits to his father's family in Karnataka in southwestern India, Pinto reached a career epiphany in 2006 while attending Dave Douglas's Banff Creative Music Workshop, where he forged ties with heavyweight improvisers like Rez Abassi and Donny McCaslin. 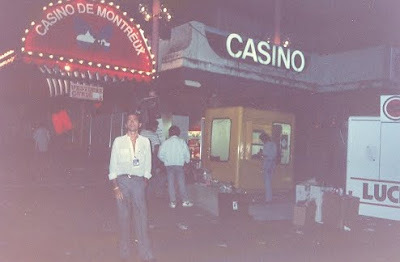 "Rez gave me the courage and inspiration to pursue my path on the guitar," says Pinto. "He always stressed creating genuine ideas and owning concepts, something very evident in his playing and composing." "Alex is one of the very few players of his generation to seriously take on the challenge of creating a hybrid music, namely one of Jazz and Hindustani music," says guitarist Rez Abassi. "He's grown both as a player and conceptualist considerably since our first meeting five years ago. I can only imagine the music he'll produce in the years to come." Pinto gained some international attention when he placed third at the 2008 Gibson Montreux Jazz Guitar Competition. He also earned a finalist spot in the Yamaha Six String Theory Guitar Competition, an international talent search engineered by Lee Ritenour in 2010. The guitarist arrived in San Francisco in 2009 as part of the inaugural class of MusicianCorps Fellows for Music National Service, and spent a year serving as the music coordinator at Horace Mann Middle School. He has been making his voice heard on the vibrant Bay Area music scene, and is poised to introduce his music to a wider audience with the release of "Inner State." The quartet performed 3/26 at the Revolution Café in San Francisco (where Pinto frequently works) and 4/9 at the Blue Whale in Los Angeles. In addition, Alex appeared with bassist Doug Stuart and drummer Shaun Lowecki 3/31 at the Lost Leaf in Phoenix; 4/2 at the Chandler (AZ) Jazz Festival; and 4/3 at the Highland Jazz Festival in Gilbert, AZ, where the trio also conducted a clinic. Northwest and East Coast dates are in the works, with a two-night stand at Twins Jazz in Washington, DC. Pinto will perform with Jaz Sawyer, bassist Tom Baldwin, and saxophonist Paul Carr, in whose bands Pinto often played when living in the DC area. Performing Hindustani Rag Yaman Kalyan in Tin Taal with Robin Sukhadia on tabla. Recorded Jan. 31, 2010 at the Sangati Center in San Francisco. Performing Bill Evans's "Very Early" with Atemu Aton on electric bass and Jaz Sawyer on drums. Recorded Feb. 3, 2010 in Oakland. The "Montreux Sounds Digital Project"
More than 5,000 hours of video footage of the Montreux Jazz Festival -- which I had the opportunity to attend for several years since 1989 -- and artists such as Aretha Franklin (pictured above), Ella Fitzgerald, Miles Davis, Phil Collins and David Bowie will be saved and immortalised by the launch of the Montreux Sounds Digital Project. The Audemars Piguet watchmaking Manufacture, Montreux Sounds SA, the company that manages the festival’s audiovisual archives, and the Swiss Federal Institute of Technology Lausanne (EPFL) are uniting their efforts to transform this unique heritage into a top-class digital resource for future generations. The sheer number of documents (5,000 hours of taping of 4,000 groups and artists), the diversity of musical trends, and the fact that no other music festival in the world has accumulated such a heritage, makes these archives a unique treasure and doubtless one of the greatest musical records of the past 40 years. Coupled with this is the exceptional nature and historic value of certain documents. 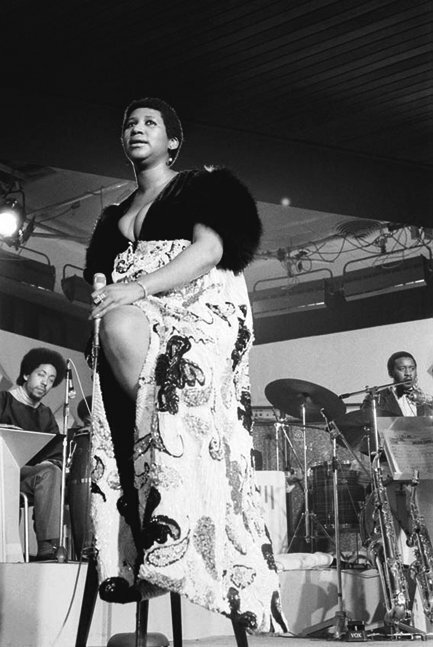 These include one of the last concerts of Miles Davis in 1991, Marvin Gaye’s performance in 1980, Ray Charles first concert with Chaka Khan and George Benson, or Ella Fitzgerald in 1969, as well as the exceptional shows produced by Quincy Jones. 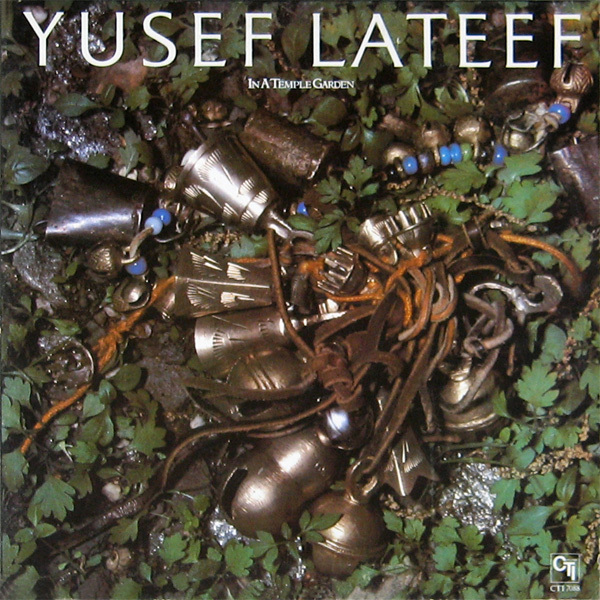 Soon after the recording of "In A Temple Garden," his second and last session as a leader for CTI (not counting his appearance as special guest soloist on Art Farmer's collaboration with the David Matthews' Big Band, "Something You Got"), the iconoclastic reedman & composer (and my dear friend) Yusef Lateef started a coast-to-coast tour to promote the album that would be released that would be released the following month. This ticket is from Lateef's concert at the Armadillo World Headquarters in Austin, Texas, on June 27, 1979. "In A Temple Garden," which received a 4-star rave review in DownBeat at the time of its original release, has not yet been reissued on CD, not even in Japan...! But I was able at least to include my personal favorite track, "Morocco," in the CD best-selling compilation I prepared for CTI in 1997, "CTI: Acid Grooves," produced by Arnaldo DeSouteiro. 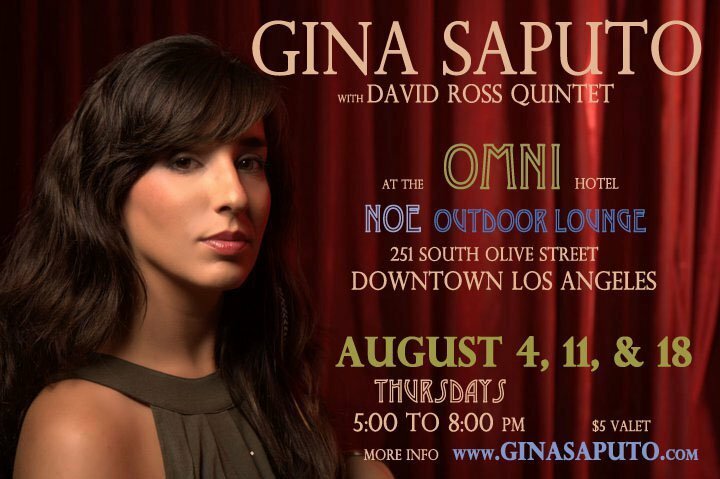 Next Thursday, on August 11th, sax princess Katja Rieckermann will be playing from 9pm to closing at the Cork Lounge - a cool little room located inside Corky's Restaurant on 5043 Van Nuys Blvd in Sherman Oaks. "I will have the usual suspects: Andreas Geck on bass and Dan West on piano but also special guest Tal Bergman on drums," says Katia, famous his long association with Rod Stewart since the early 2000s. "It is going to be a very casual but intimate evening." CD of the Week - "Georg Breinschmid: Brein’s World"
A joyful, soulful and adventurous 2-CD set by virtuoso Austrian bassist-composer Georg Breinschmid, featuring Brein’s Café, Thomas Gansch, classXXX, Sebastian Gürtler, Tommaso Huber, Daniel Pezzotti, Thomas Dobler, Robert Bachner, Erni M. et al. From the opening track, "7/8 Landler," reuniting the bassist with Roman Janoska on violin and Frantisek Janoska on acoustic piano, you know you're in for a treat. The highly pleasant musical trip is conducted by Georg's gorgeously fat bass tone, using different formats, styles and musical colors. The great artwork by Lili Schagerl & Julia Wesely, in a deluxe package with 2 separate booklets for each disc, perfectly translates Georg's musical inventiviness. A very humorous one, indeed. ps 1: "Quartier Latin," featuring Daniel Schnyder on soprano sax, is a must! ps 2: the dream-like adaptation of Liszt's "Liebestraum," "Bach 11/16" (an unbelievable arrangement for bass & violin of Bach's "Partita in E Major" in 11/16 meter), the hip-hop groove of "Tschukkn Belle" featuring vocalist Erni M on a viennese rap, "Without Mood" with its introspective mood, the jazzy "Dark Lights" a la "All Blues," the frenetic "Dream # 71," the beautiful "Petite Valse" (with an arco bass intro) and the flugel/bass duo on "Intermezzo" are other highlights. And the bass keeps humming. Georg Breinschmid, aka ‘Schorsch’ (for English native speakers with an eye for details, the correct pronounciation for this slang-infused nickname would be ‘Shoursh’), aka Gorg Brein (some people simply call him ‘Wunderwuzzi’, which could roughly be translated as a kind, belittling version of, well, ‘wunderkind’) – he returns with his double-pack of uncategorizable music for the world. It’s A Brein’s Brein’s Brein’s World, with its little and great concert waltzes, unsquare meters, Soul-Jazz, an artistic bridge towards the Alpine Folk tradition, Polka, Rap, Blues and lots of grooves throughout the entire album. The bass player and singer tells his stories about staying here and moving on. At one point he plays Liszt (‘Liebestraum’), at another point he takes a stab at Johann Strauss (‘Radetzkymarsch’) or at Bach played in 11/16 meter and pretty much everywhere else he takes a stab at playing himself. Diversity is his trademark, but it is not only his fantastically played bass that makes him unique; his carefully written, yet bizarre lyrics are equally important. Georg Breinschmid’s introverted side comes to life in his instrumental pieces as they sparkle with extraordinary nuances and a great love for details. His humorous side shines through most - but not all - of his songs and lyrics. These songs show him as someone who embraces life wholeheartedly and distills his thoughts and observations into meaningful and well-crafted satires. His Viennese groove on ‘Tschukkn Belle’ (with Erni M. – voc, kazoo) is linguistically conspicuous and a rhetorical extravaganza as well as a phonetic chain of associations, leading up to Breinschmid’s realization that he has yet to be added to the ‘Encyclopedia of Jazz’. Originally, he was a classical contrabass player with the ‘Niederoesterreichisches Tonkuenstlerorchester’ as well as the Vienna Philharmonic Orchestra. But he turned his back on classical music and has been devoting all his energy to Jazz and its related musical styles ever since. He was the double bass player for the Vienna Art Orchestra for seven years and performed with artists like Archie Shepp, Charlie Mariano, Kenny Drew jr., Bireli Lagrene, Christian Muthspiel and many more. But that is not all there is. Breinschmid’s excellent compositional abilities conjure a quite sustainable effect. His global understanding of music blends easily with local codes. In other words, his musical pieces live from their high tolerance for complexity and diversity. Based on their existing differences, they find their common and uniting traits. And he likes to fool us a little bit, because his compositions – which he sometimes calls “petite” – are Davids with the stature of Goliaths. improvisation to a photoshoot (‘Window Serenade’) and immortalize the ‘Schnucki von Heanois’ (‘Sweetie from Hernals’) with a truly crazy rap. Is it the next party hit or the next chart breaker? Life is always looking for the next hit. But let us carry on with the guest list. One could call the Swiss-Austrian ensemble, which includes Daniel Schnyder (ss), Thomas Dobler (vib), Daniel Pezzotti (vlc) as a ‘class of its own’ – if they would not already have a name that already calls them what they are. The bass player revisits his very first composition with classXXX, while he dreams the ‘Dream#71’ with Manu Delago (hang) and Andi Tausch (guit) and takes a ‘Urlaub am Giatl’ (‘Holiday on the ‘Giatl’’) - another exquisite Viennese song - with Azzi Finder (vl) and Roland Bentz (vl). With ‘Oldtime Hit’, accompanied by a sextet including Clemens Salesny (sax), Horst-Michael Schaffer (trp), Robert Bachner (trb), Clemens Wenger (p) and Christian Salfellner (dr) – he pays tribute to good old Soul Jazz. Then there are six tracks where he is joined by Sebastian Gürtler (vl) and Tommaso Huber (acc). Their first and foremost collaboration is ‘Flugzeugderorist’ which is based on an experience with airport security involving a plastic water bottle. But it also includes the absolutely, positively unautobiographical ‘Lied des Zwangsdenkers’ (The Compulsive Thinker’s Song’), the quasi Serbian “Bach 11/16”, the concert waltz ‘Festivalse’, the very sad ‘Todespolka’ (‘Death Polka’) as well as the improvised ‘Wienerlied-GPS’ (‘Viennese Song-GPS’). Finally, eight Breinschmid-crafted compositions are brought to life by the previously mentioned trio Brein’s Café, a regular’s table if you will, including Roman Janoska (vl) and Frantisek Janoska (p). This flexible trio travels intuitively and emotionally between Classical Music, Jazz, World Music and Viennese Songs. This playground provides us with the finishing touches for beauty, the somber atmosphere for perfection and the lust for life for a perfect day. All of this is packed into ‘7/8 Landler’, ‘Musette #2’, ‘Liebestraum’, ‘Brein`s Knights’ a.o. He sings about his social life on web (‘Computer-Wienerlied’) and he lets us know when one has to stop (‘Ma muass aufhean wanns am scheenstn is’). And at one time Breinschmid sits alone in Croatia in ‘Room 422’ and whistles a song to himself. In short: No Breinschmid, no deal. Georg Breinschmid was born in 1973 and lives in Vienna. He is one of the leading Austrian jazz musicians on the international scene. Breinschmid studied classical bass at Vienna University. As a student he worked as a substitute in the big Viennese orchestras, and also played chamber music with orchestras such as the Amadeus–Ensemble, Ensemble Kontrapunkte and Die Reihe. At the same time he started out as a jazz musician, cooperating for instance with the violinist Zipflo Weinrich. From 1994 to 1996 he performed with the Lower Austrian Tonkuenstler Orchestra and from 1996 to 1998 he was a member of the Vienna Philharmonic Orchestra. Quite soon he decided to turn his back on a career as a classical orchestra musician and to dedicate himself fully to jazz. In 1999 he became a freelance jazz musician, excelling as one of the most versatile and virtuoso bass players on the international jazz scene. Since 2005 Georg Breinschmid has increasingly made his mark as a composer. His compositions are also performed by other groups, such as Ensemble Amarcord Wien, the duo „Bach &Bosnisch“, or the ensemble Bass Instinct. His devotion to Vienna and Viennese songs is clearly recognizable in his CD project “Wien bleibt Krk” (2008). His 2002 production “Mauve” won him(together with Arkady Shilkloper and the expatriate Vienna-based Brazilian guitarist Alegre Correa) the Hans Koller Prize as CD of the year. The same contest the year after saw him become “newcomer of the year”. In 2007 and 2009 Georg Breinschmid was nominated for the Hans Koller-Prize as "Musician of the year", in 2007 as the bassist of the Christian Muthspiel Trio also for the "CD of the year" (for "Against The Wind - The Music of Pirchner & Pepl"). The double DVD “Georg Breinschmid Live“ and the double CD set “Brein’s World“, which has garnered much critical acclaim in Europe and overseas, was released in 2010. In May 2010, Georg Breinschmid and his trio Brein’s Café performed at the opening of the Vienna Festival, which was seen live on television by millions of viewers all over Europe. He also appeared on the television shows “Annettes DaschSalon“ and the NDR literature matinee “Herbstblätter“, in which Breinschmid and violinist Daniel Hope treated audiences to a variety of original compositions. Georg Breinschmid wurde 1973 geboren und lebt in Wien. Er ist einer der führenden österreichischen Jazzmusiker auf internationalem Parkett. Breinschmid studierte klassischen Kontrabass an der Wiener Musikhochschule und war während des Studiums als Substitut in verschiedenen Wiener Orchestern (Wiener Philharmoniker, Wiener Symphoniker u.a.) sowie auch kammermusikalisch, u.a. beim Amadeus-Ensemble, dem Ensemble Kontrapunkte und dem Ensemble Die Reihe, tätig. Gleichzeitig betätigte er sich auch bereits als Jazzmusiker und arbeitete u.a. mit dem Geiger Zipflo Weinrich zusammen. Von 1994 bis 1996 war er im Niederösterreichischen Tonkünstlerorchester engagiert, von 1996 bis 1998 bei den Wiener Philharmonikern. Er entschloss sich bald, der Orchesterlaufbahn den Rücken zu kehren und sich verstärkt seiner Leidenschaft für den Jazz zu widmen. Seit 1999 ist Georg Breinschmid freiberuflicher Jazzmusiker und tritt als einer der vielseitigsten und virtuosesten Bassisten der internationalen Jazzszene hervor. Er arbeitete u.a. 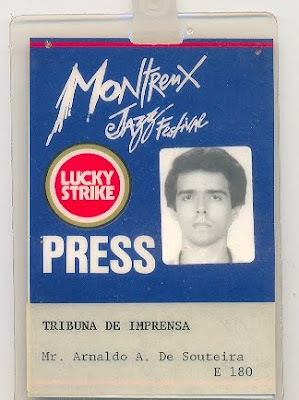 mit Archie Shepp, Charlie Mariano, Kenny Drew jr., Biréli Lagrène, Wolfgang Muthspiel, Triology, Megablast u.v.a. zusammen. Von 1999 bis 2006 war er ständiger Kontrabassist des Vienna Art Orchestra. Seit ca. 2005 tritt Georg Breinschmid auch verstärkt als Komponist hervor, wobei seine besondere Affinität u.a. auch der Wiener Musik und dem Wienerlied gilt. Seine Kompositionen werden auch von anderen Formationen, z.B. dem Ensemble Amarcord Wien, dem Duo „Bach & Bosnisch“ oder dem Ensemble Bass Instinct aufgeführt und auch auf CD eingespielt. Die Liebe zu Wien und seiner musikalischen Tradition findet auch in seinem CD-Projekt "Wien bleibt Krk" (2008) Eingang. Im Jahr 2002 erhielt Georg Breinschmid zusammen mit Arkady Shilkloper und Alegre Correa im Rahmen des Hans Koller-Preises die Auszeichnung "CD of the year" für "Mauve". Beim selben Preis gewann er im darauffolgenden Jahr in der Kategorie "Newcomer of the Year". 2007 und 2009 war Georg Breinschmid beim Hans Koller-Preis in der Sparte "Musiker des Jahres" nominiert, 2009 als Bassist des Christian Muthspiel Trios auch für die "CD des Jahres" (für "Against The Wind - The Music of Pirchner & Pepl"). 2010 erscheint die Doppel-DVD „Georg Breinschmid Live“ sowie das Doppel-CD-Set „Brein’s World“, das in Europa und auch Übersee hymnische Kritiken erntet. Im Mai 2010 tritt Georg Breinschmid mit seinem Trio Brein’s Café bei der Eröffnung der Wiener Festwochen auf, die von einem Millionenpublikum in ganz Europa live im TV gesehen wird. Weiters absolviert er TVAuftritte in den Sendungen „Annettes DaschSalon“ und der NDR-Literaturmatinee „Herbstblätter“, in denen Breinschmid im Duo mit dem Geiger Daniel Hope verschiedene Eigenkompositionen zum Besten gibt. Insidern und Kritikern gleichermaßen gelten Georg Breinschmids unorthodoxe Kompositionen zurzeit als interessanteste Entwicklung im zeitgenössischen Jazz überhaupt. 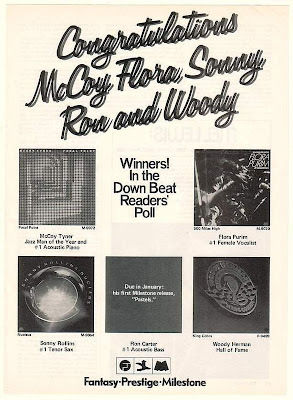 EP of the Week - "David Guetta: Erotica 16"
Advertisement published, by Fantasy Records, in the December 1976 issue of DownBeat magazine when Flora Purim won, for the third consecutive year, the DownBeat Readers Poll as Best Female Jazz Vocalist (she would place #1 for more 2 years, in 1977 and 1978). Other artists from the Fantasy-Prestige-Milestone family of labels were featured in the ad: Woody Herman (who entered the Hall of Fame), McCoy Tyner (Jazz Man of the Year and # 1 Acoustic Piano), Sonny Rollins (#1 Tenor Sax) and Ron Carter (#1 Acoustic Bass). 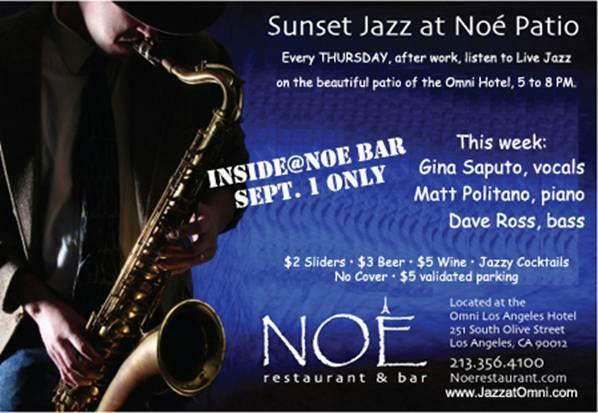 Anna Mjöll live @ Doubletree Westside, Culver City, tonite! Tomorrow night, August 5th, LA-based Brazilian superDJ/supermodel Tatiana Fontes will be appearing @ Marquee Dayclub at The Cosmopolitan of Las Vegas. VHS of the Month - "Diana Krall: The Making of Love Scenes"
Book of the Month - "Diana Krall: The Collection, Volume Two"
Complete piano & vocal transcriptions of 12 songs recorded by Diana Krall, including lyrics and guitar chords. CD Reissue of the Month - "Airto: Fingers"
8-Track of the Month - "Airto: Fingers"
DVD of the Month - "George Benson & McCoy Tyner: Live in Germany 1989"
Back on July 20, 1989, at the Montreux Jazz Festival, I was fortunate to attend an unforgettable concert of the European Tour that George Benson was doing with the McCoy Tyner Trio (Tyner on piano, Avery Sharpe - a monster! - on bass, and Aaron Scott on drums) to promote the "Tenderly" album. 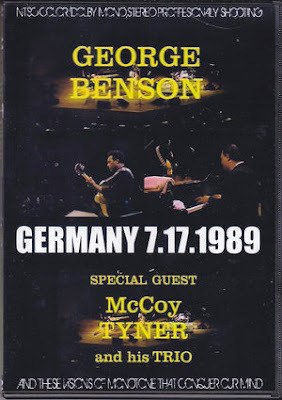 A bootleg CD came out later, from a live performance in Florida that same year, and now we have this DVD, filmed in Germany on July 17, 1989. Essential for all fans of both artists. And I keep praying that the Montreux concert will also come out on video someday. Vocal CD of the Month - "Anna Luna Lucas: Femenina"
Instrumental CD of the Month - "Russ Kassoff: Bird Fly By"
Yes, Sir, That's My Baby; Bird Fly By; Edleweiss; Joy; As Life Disappears; The Groove Merchant; The Heather on the Hill; A Breath of Spring; One Minute More; Every Day I'm in Love with You; River Stay 'Way from My Door; New Sun in the Sky; Until It's Time for You to Go; Elegy, Part 1--Suite for Gerry. Russ Kassoff: acoustic piano; Jay Anderson: acoustic bass; Dennis Mackrel: drums; Adam Niewood: soprano saxophone (4), tenor saxophone (14). Currently Russ if conductor/pianist music director on Twyla Tharp's Broadway dance tribute to Frank Sinatra "Come Fly Away". Most recently, Russ appeared as a featured jazz pianist on the 2010 Pensacola Jazz Festival along with Dennis Mackrel, Steve Gilmore, Aaron Weinstein and Howard Alden and as conductor/pianist to Rita Moreno on PBS as the Mark Twain Prize was awarded to Bill Cosby. In the fall of 2009 Russ appeared as pianist as part of a fantastic Dennis Mackrel - led 17 piece big band backing Twyla Tharp's critically acclaimed brand new "Come Fly With Me" dance concert performed live to the vocals of Frank Sinatra and Dee Daniels featuring 15 of the most magnificent and accomplished dancers that you will ever see. Also in 2009 Russ focused on composing Suite For Gerry - for the RKBB in concert as a musical elegy, remembrance and tribute to Gerry Niewood, friend and founding member of Russ's big band as well as a permanent member of the musical family we all belong to. The Elegy movement - Part I became part of his new CD "Bird Fly By" and soulfully performed by Adam Niewood on soprano sax as part of the musical tribute we will forever bestow to Gerry. Russ continues to perform in solo, duo, trio and the RKBB jazz settings as well as varied shows in Cabaret throughout the NY Metropolitan Area with vastly different vocalists such as Yvonne Constant, Debbie Gravitte and Lisa Dawn Miller. This year he was a MAC award nominee. Also in 2009 Russ returned for a week as solo pianist in the Piano In The Park series at Bryant Park and also appeared at the JazzPA festival with his trio featuring David Finck and Dennis Mackrel backing legendary jazz saxophonist Jerry Dodgion as well as vocalist Catherine Dupuis. 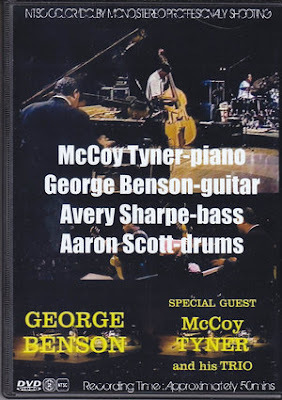 In 2008 a varied array of gigs had Russ performing - Rita Moreno at the Rrazz Room in San Francisco, Piano in the Park - Bryant Park, NYC, The Sackets Harbor Jazz Festival with Jerry Dodgion, and the JazzPA Festival with Tom "Bones" Malone and Byron Stripling. In 2007, Russ appeared as a featured guest on Marian McPartland's Piano Jazz on NPR. Other live appearances in 2007 included conducting and accompanying Rita Moreno at the Napa Opera House, performing with Bucky Pizzarelli at Shanghai Jazz, Trio concert with Mark Murphy at the 8th Annual Sackets Harbor Jazz Festival (NY), Trio concert at the 3rd Annual State College (PA) Jazz Festival with Martin Wind - bass, Dennis Mackrel - drums, a duo piano concert with Bill Mays, also at the SCJF, a sensational 3 piano concert JAZZ IN JULY at Centenary College with Junior Mance and Jesse Green, The Russ Kassoff Big Band in concert at the Bahai Center in NYC, in concert with Tony Award winner Debbie Gravitte at Zankel Hall in NYC, The RK trio at The Kitano, conductor/music director for Rita Moreno with the Columbus Symphony, and a four week engagement at The Carlyle Hotel in NYC with Rita Moreno. Russ toured as pianist to Frank Sinatra from '80-'91, served as pianist/accompanist for Liza Minnelli from '82-'01 and Minnelli's music director and conductor for the acclaimed Minnelli on Minnelli national tour ('00). Russ was pianist for The Ultimate Event Tour ('88-'89), televised nationally on PBS and featuring Sinatra, Sammy Davis, Jr., Dean Martin, and Minnelli. Currently, he performs as conductor/pianist to Rita Moreno (2005 sold-out 4 week + 3 week run at San Franciso's Plush Room), Debbie Gravitte (Big Band Broadway with the Russ Kassoff Big Band and many "in concert" appearances), Catherine Dupuis (State College PA Jazz Festival, Sackets Harbor Jazz Festival and many varied club appearances), and many others. His eclectic and varied recording career includes albums with Bucky Pizzarelli, John Pizzarelli, Red Norvo, Chris Connor, Sylvia Syms, Rod Stewart, Carly Simon, Mimi Hines, Catherine Dupuis, Martha Lorin, and many others. In addition to Sinatra and Minnelli, as a pianist, music director and/or conductor Russ has accompanied a varied list of performers including: Steve Allen, Paul Anka, Tony Bennett, Sammy Cahn, Liz Callaway, Claiborne Cary, Vic Damone, Catherine Dupuis, Debbie Gravitte, Buddy Greco, Gregory Hines, Mimi Hines, Carol Lawrence, Ute Lemper, Monica Mancini, Barry Manilow, Amanda McBroom, Susannah McCorkle, Maureen McGovern, Vincent Minnelli, Patrice Munsel, Toby Parker, John Pizzarelli, Faith Prince, Trudy Richards, Ginger Rogers, Annie Ross, Carly Simon, Carol Sloane, Sylvia Syms, and Luciano Pavarotti (duet with Liza for Pavarotti & Friends in 1996). Russ has appeared at the Sackets Harbor Jazz Festival, the State College Jazz Festival, the Pensacola Jazz Festival, and the Toronto Jazz Festival. In New York , he has performed countless times at Carnegie Hall, Radio City Music Hall , Avery Fisher Hall, Alice Tully Hall, the New York State Theatre, The Kaplan Penthouse and Town Hall. At the National Arts Club, Russ has led numerous trios and small groups over 25 years, including SIX Command Performances for the membership. 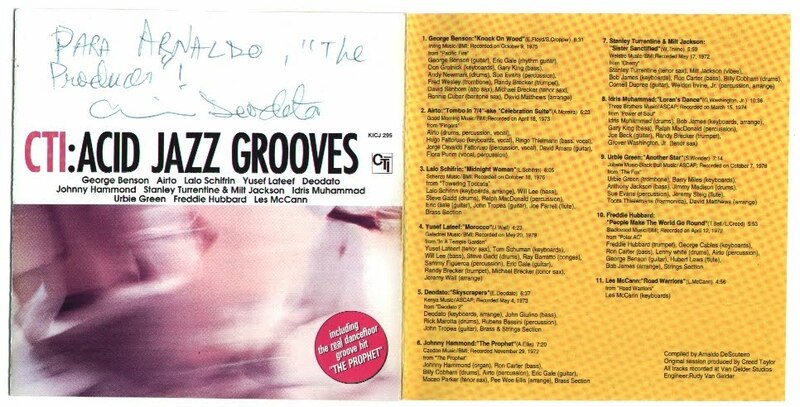 In the 1980's, he performed regularly at the legendary jazz piano club Bradley's and One Fifth Avenue . Russ has been a regular performer at the acclaimed Knickerbocker jazz club since 1984 and continues to enjoy duo and trio bookings there several times a year. Russ's arrangements and orchestrations have appeared in many different settings. From full orchestra for Rita Moreno, Liza Minnelli, Debbie Gravitte, Charles Aznavour and Billy Stritch to smaller intimate groups for Catherine Dupuis, Sylvia Syms, Mimi Hines, Chris Connor, John Pizzarelli, Bucky Pizzarelli, Trudi Richards, Martha Lorin and June Valli. Russ is also the sole writer and arranger for the concert book of the Russ Kassoff Big Band, which was featured in the world premiere concert of Big Band Broadway starring Tony award winner Debbie Gravitte at the Ridgefield Playhouse in November 2005. In July 2002, Russ arranged and led two big band concerts in Norwood and Potsdam NY (Crane Youth Music). These arrangements have become the backbone of the new Russ Kassoff Big Band comprised of top studio recording and Broadway musicians, featured at the 2nd Milford, PA Music Festival in June 2004. 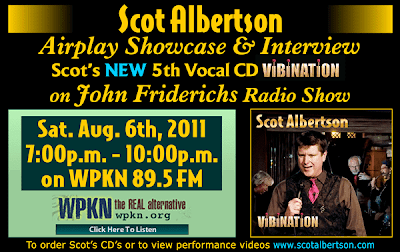 The RKBB was heard on the Local 802 Musician's Union radio spot promoting live music in the NY Metropolitan Area. As an associate producer, 2004-10 has been a busy time for Russ. He wrote all of the arrangements, conducted, contracted and recorded CD's for Catherine Dupuis (The Rules Of The Road), Martha Lorin (Blues Over Broadway), Jasper Kump (Sunday In New York) and Toby Parker (brother of Sara Jessica Parker!). His first solo/trio CD "SOMEWHERE" was released on 9/12/2006 at "STEINWAY HALL" in NYC. As a composer, Russ works regularly with magnificent lyricist, Deirdre Broderick, the perfect wordsmith for the stories evolving from his tunes. Together they have written over 30 songs and most recently "I Remember" qualified for the penultimate round towards a 2005-6 Grammy Nomination. Russ also writes with lyricist Dan Regan, creating a pop and folk groove for the catalog. Russ has performed as a member of many jazz groups, most notably with the Bucky Pizzarelli Trio in the 1980's at the Cafe Pierre and New York’s Plaza Hotel, and their continued musical relationship finds them performing together at various jazz clubs, concerts, and jazz festivals. Russ was also a regular member of Peter Appleyard's Benny Goodman Alumni, touring Canada extensively in the mid-1980's and featuring jazz greats Ed Bickert, Slam Stewart, Dave Young, Billy Butterfield, Ed Polcer, Urbie Green, Abe Most, Butch Miles, Don Lamond, Peanuts Hucko, George Masso and Major Holley, among others. As a concert jazz pianist, 2006 found Russ as a featured performer at the JVC Jazz Festival in NYC (80th Birthday Tribute honoring Bucky Pizzarelli), the Pensicola Jazz Festival (with Gene Bertoncini, Harry Allen and Jay Leonhart), the 2nd annual State College PA Jazz Festival (with Bucky Pizzarelli, Ken Peplowski, Martin Wind, Tim Horner and Catherine Dupuis) and the 7th annual Sackets Harbor Jazz Festival (with Marvin Stamm, Ted Nash, Martin Wind, Dennis Mackrel and Catherine Dupuis). 2004 found Russ as featured performer at the Pensacola Jazz Festival, The Toronto Jazz Festival (with Carol Sloane), and the 5th annual Sackets Harbor Jazz Festival (with Harry Allen, Joe Cohn and Catherine Dupuis). Since it's inception in 2000, Russ has been the musical director/coordinator and pianist for the Sackets Harbor Jazz Festival. Over the first 7 years he has brought to the SHJF performers such as Catherine Dupuis, Linc Milliman, Terry Clarke, Ron Vincent, Martin Wind, Rob McConnell, Kickie Britt, Glenn Drewes, Gary Keller, Rick Cutler, Harry Allen, Joe Cohn, Bucky Pizzarelli, Ken Peplowski, Marvin Stamm, and Dennis Mackrel. In 2005 Russ performed with his trio (Brian Torff and Rick Cutler) at the 1st annual State College Jazz Festival and his 2nd appearance in 2006 with his recording trio from "SOMEWHERE" was part of a spectacular day along with special guests Bucky Pizzarelli and Ken Peplowski. In 2004, as a music director/conductor, in addition to all the fine vocalists he’s performed with, Russ conducted the Modesto Symphony with Rita Moreno, the annual Ridgefield (CT) Holiday Spectacular (starring Debbie Gravitte) and the annual Glaxo-Smithkline industrial show (as big band arranger and pianist). In the summer of 2001, Russ toured Europe as pianist/accompanist to Internationally-acclaimed Ute Lemper. On Broadway, Russ served as musical director/pianist for Charles Aznavour at the Marquis Theater in 1998 and as pianist/arranger/contractor to Minnelli on Minnelli at the Palace Theater in 1999-2000. Russ has also played hundreds of shows on Broadway, including Miss Saigon, Cats, Will Rogers Follies, Buttons On Broadway, Jane Eyre, The Life, Seussical, Victor Victoria, Sunset Boulevard, The Adventures of Tom Sawyer and Kiss Me Kate. Highlights of the very early years include pianist/conductor on 2 World Cruises on Holland America's Rotterdam (1979, 1981) a long stint as the solo pianist high atop the World Trade Center's Windows On The World Horsd'eourverie and summer and holiday weekend stints in the Catskill Mountain hotels at the end of their hayday! Hotels included Pine Lodge, The Heiden, The Grand Mountain, The Echo, The Homowack and in the summer of 1973 he was the bandleader at the Laurels Country Club.. Anyone remember ANY OF THIS? Jason Moran - Since Jason Moran's emergence on the music scene in the late '90s, the jazz pianist has proven more than his brilliance as a performer, composer and educator. The Blue Note Records artist has established himself as a risk-taker and innovator of new directions for jazz. Moran has achieved a rare triple play in DownBeat 59th Annual Critics Poll. He was named Jazz Artist of the Year and took home top honors in the Piano category. Additionally, his widely acclaimed album Ten was named Jazz Album of the Year. Abbey Lincoln - We welcome the late vocalist Abbey Lincoln, one of jazz's most stunning performers and evocative artists, into the DownBeat Hall of Fame. Paul Chambers - DownBeat's Veterans Committee elects the historic bassist-who played with everyone from Miles Davis to John Coltrane to Thelonious Monk in the 1950s and '60s-to the Hall of Fame. Ambrose Akinmusire - This winner of the Thelonious Monk International Trumpet Competition and the Carmine Caruso International Jazz Trumpet Solo Competition continues to garner critical praise, taking home DownBeat Rising Star awards for Trumpeter of the Year and Jazz Artist of the Year. Craig Taborn - An in-demand sideman and leader known for his chops and innovation, Taborn tops the Electronic Keyboard, Rising Star Piano, Rising Star Organ categories of this year's poll. Maria Schneider - A triple-crown winner for Big Band, Composer and Arranger of the Year. Paul Motian - Drummer of the Year. Rudresh Mahanthappa - Alto Saxophonist of the Year. 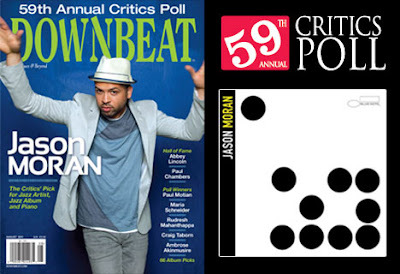 59th Annual DownBeat Critics Poll - Complete results in more than 60 categories! · Tuscon Jazz Institute brings low-cost/high quality education to Southwest town. · Master Class: Dave Wilenski, "Kiss Your Licks Goodbye"